"To begin with Hotel Basant Vihar Palace, Bikaner, was constructed by Maharaja Ganga Singh Ji who is an ardent connoisseur of art and architecture. 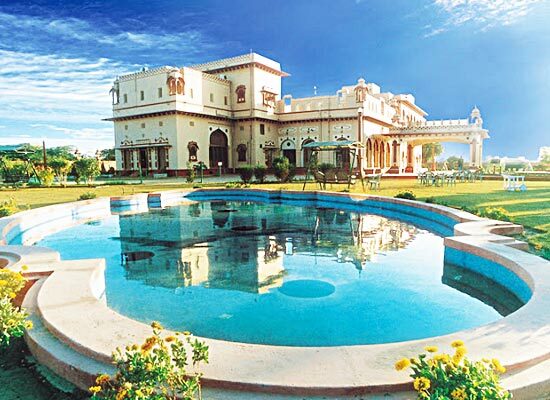 The hotel lies adjacent to the Zanana Bagh or the Royal ladies Garden. 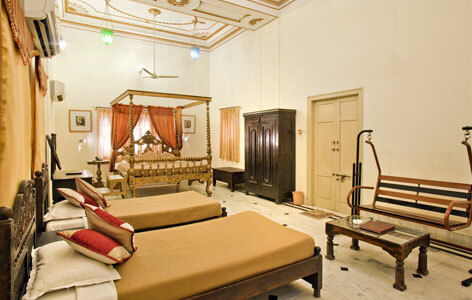 Initially the Maharaja used this as a pleasure retreat. The house of Bikaji converted this into a Heritage Hotel in 1993. The hotel stands as a living testimony of the endeavors taken by the Royal family to make tourists experience a slice of royalty. From the traditional welcome meted out to the tourists to the grandeur of the living rooms all speak of the state of the art hospitality. 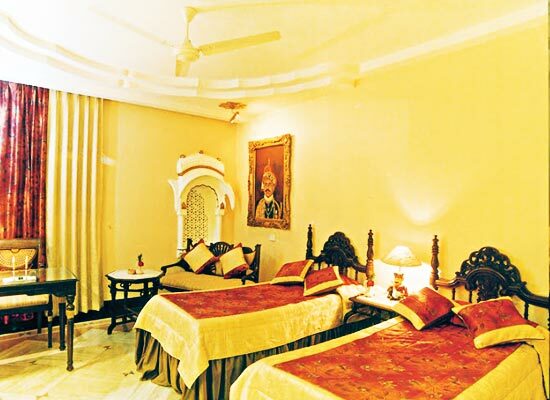 Staying in Hotel Basant Vihar Palace, Bikaner makes your stay worthwhile and memorable. The rooms of the hotel speak of class and tradition. Much of its heritage value has been left intact to give a ring of tradition to it. They are well equipped and fitted with the latest amenities. Period furniture and chandeliers have been used to accentuate the splendor of the rooms. 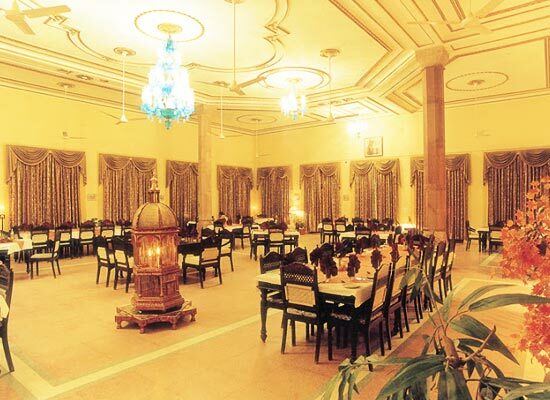 Cuisine in Hotel Basant Vihar Palace, Bikaner is an art form, not only a means to fill up your stomach. The classy presentation of the dishes touches your aesthetic senses. Taste the classiest of the Indian, Mughlai, Chinese and Continental dishes. Authentic Rajasthani cuisines are well worth tasting. Experience the elaborate spread straight from the royal kitchen. Bikaner was founded in 1488 by Rao Bikaji. This ancient city of Rajasthan is one of the favorite spots of tourists who throng here for its many forts, palaces, temples and lakes. This is one of the hot beds of Rajput art and architecture. It is situated in the North West part of Rajasthan and is easily accessible from all major and minor cities of Rajasthan.